The Bethesda Trolley Trail is a six mile trail stretching from downtown Bethesda, MD to the Twinbrook Metro Station in Rockville. The six mile trail is a variation of off-street shared use paths, on-street bicycle lanes, and sidewalks. The trail crosses many important and busy intersections, but none more so than the crossings over major highways like I-495 and I-270. In 1996 TE funding was awarded to two separate projects for the construction of bridges over I-270 and I-495. A total of $1.95 million was awarded and matched by an additional $1.95 million. The construction of these projects was completed in July 2003. 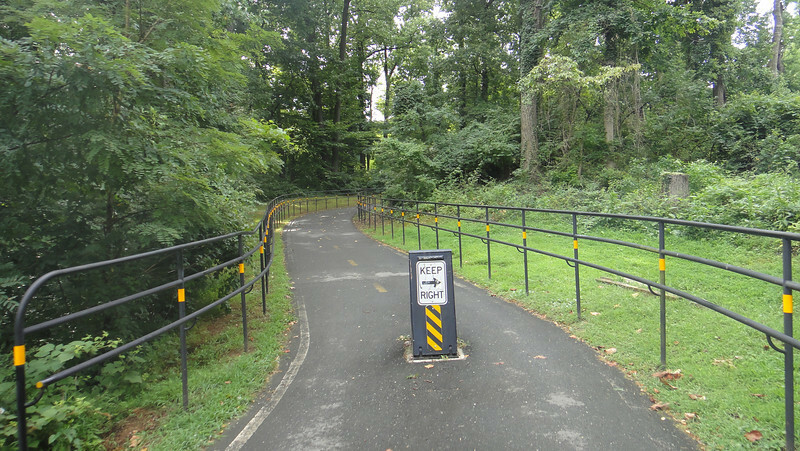 The trail has been important for building a trail network in Washington, D.C. because it connects with the Capital Crescent Trail and Rock Creek Trail. The impact of these trails is profound. From the entrance of one bridge to the entrance on the other side of the highway is a distance of only .2 miles. Without the bridge it would be a 1.3 mile trip to get across I-495. This same is true for the bridge across I-270 except it would be a 1.5 mile trip. This significant investment not only saves time for commuters but also creates an interconnected community where walking and biking are viable options.